Because you should not miss all the cool and exciting experiences you can gain from your solo trip. It is really different when you travel with someone or with your friends so it is worth a try. And if you are a first-timer, there are some guidelines that you may want to follow to make sure that your adventure will go according to plan. 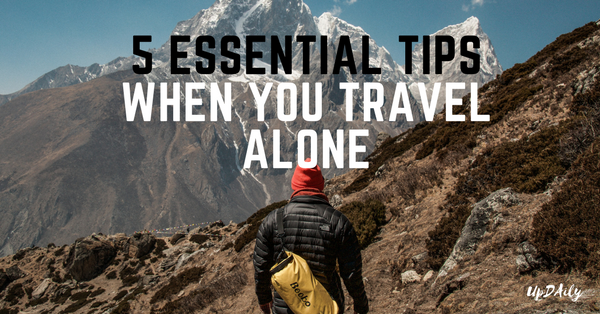 So here are some essential pieces of advice you need to heed when you travel alone. Thanks to the internet, all the information you need is now available at your fingertips. So if you are planning for this trip, you need to check everything you need to know about your destination including your accommodation, transportation, availability of communication lines, the safety, culture, etc. 2. Make sure to stay connected. Before you leave for your trip, you need to make sure that you have a steady line of communication with your family and friends so that if there is an emergency, you can immediately contact them. When traveling solo, you need to make sure that you have everything you need in your carry-on especially your valuables. This way, in case your luggage gets lost, you won’t have to worry about your important documents, your identification, your wallet, and cellphone. Also, make sure to bring the clothes appropriate for the weather in your destination. There is nothing wrong with being aware and being cautious. 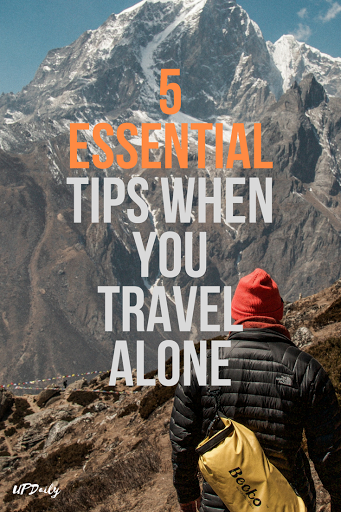 This is even more important because you are a solo traveler. Don’t flash your valuables and don’t make it too obvious that you are a tourist. As much as possible, avoid wearing expensive pieces of jewelry and stay away from places where you think are not very safe. 5. Enjoy and meet people. The very purpose of traveling alone is to enjoy and meet new people so make sure that you savor this moment and enjoy as much as you can. It could be a once-in-a-lifetime experience so make sure that you make the most of it so you can bring good memories with you when you go back home.